I couldn't continue my job as a teacher. An internship brought my career back on track. I couldn’t continue my job as a teacher. An internship brought my career back on track. 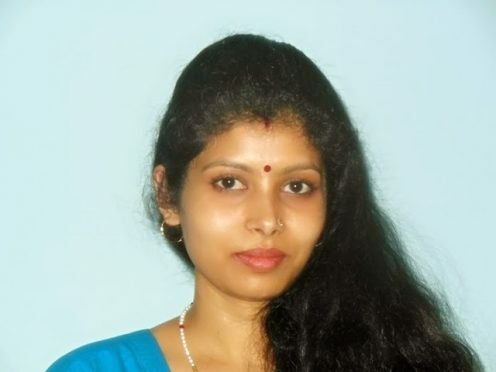 About the Author: Archana Sharma is a homemaker who took a break from her teaching career after getting married. She shares the problems she faced in finding a job despite her qualifications and tells how a virtual internship helped her rebuild her career. At quite an early stage in my life, I discovered that I wanted to pursue a career in teaching. So, after completing my bachelors in Hindi, I started teaching in a nearby school. Then, I completed my masters and worked as a TGT Hindi professor in Jawahar Navodaya Vidyalaya, Nagaland. So much was my interest in the field that I also did B.Ed later on. However, as luck would have it, my family fixed my marriage, and I had to return home. This put an end to my teaching career. I got married and came to Ghaziabad with my husband. The city was in stark contrast to Assam, my hometown. Adjusting to the culture and climate of the city, I couldn’t find time to restart my career. Once I got familiar with this Gateway of UP, I started looking for jobs. I applied to a few schools and was called for interviews too; however, I couldn’t land a job because apparently, I needed to be proficient in English too for teaching Hindi! As I do not speak English, all my efforts went in vain. By this time, I had given birth to my first child and was busy looking after him. Fast forward six years, my son didn’t need focused attention and I had some spare time. So my husband encouraged me to get back to work and regain my independence. I had my inhibitions about this; I couldn’t gather how I would proceed with something that I had left 8 years ago. My husband suggested that I start my own business but I knew that it would require extreme focus and time. Also, being in a nuclear family, it wasn’t feasible for me to step out of the house to work. That’s when my friend introduced the concept of virtual jobs to me. Thrilled by the idea, I began my hunt for online jobs and landed on Internshala. I found out that this was a platform which provided internship opportunities across various fields, so I registered on it and made my resume. I was quite apprehensive about getting an internship that required proficiency in the Hindi language. Thankfully, I was proved wrong! Of the ample opportunities I found in my desired profile, I applied to an editing internship at Inventia Business Solutions Private Limited. My skills were aligned with their requirements, so I was shortlisted for it. They inquired about the availability of internet and computer at my place and extended the offer thereafter. Since I was a rookie in this field, they provided me a with a practice session for 15 days wherein I had to pick significant news excerpts from different news websites and compose them in 80-100 words, ensuring that there was no grammatical error. I had to prepare 30 articles in a day and submit them in two slots. I quickly grasped the concept and began my internship. Currently, I am working at the company as a news editor for their Hindi audio news app, Khabri. It’s been 5 months of delight and independence so far! The best part about this internship is that I do not have to go out of my house to work. Along with taking care of the needs of my family, I stay updated with the worldwide news. I thank Internshala for bringing out such meaningful internships and helping people resume their career. Are you also struggling to pursue a career in the field of your interest? Apply to these internships for women and (re)start your career. Editor’s Note: This story was originally submitted in Hindi.